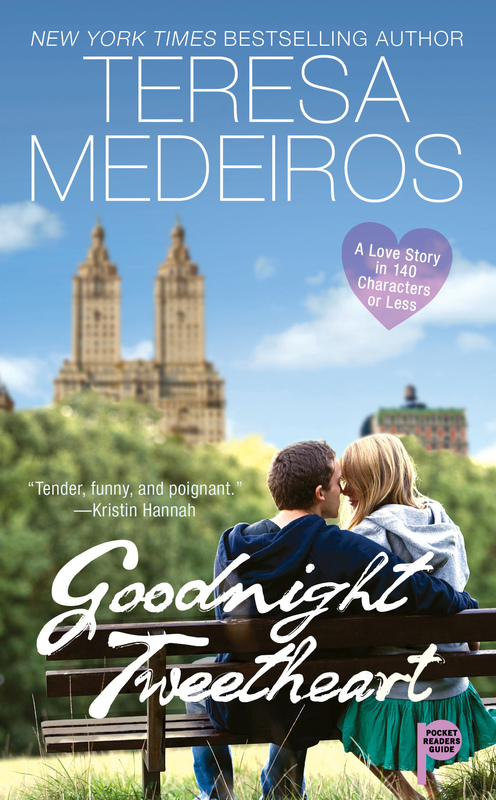 Goodnight Tweetheart by Teresa Medeiros is a breezy summer-afternoon read for anyone who wants to feel a little romance. Having seen “You have got mail” and read the couple of books by Daniel Glattauer – Love Virtually and Every Seventh Wave which immortalized online romances via emails, one can’t but help expect this book to be as good too. But boy, does it fail and how? There are umpteen things that are not right with this book. To start with, the two central characters Abby and Mark seldom seem like people in their thirties looking to fall in love. All the references to Abby’s writing career and Mark’s failed marriage do no good to add to the plot. They just don’t connect with the reader. For most of the book, they do nothing but make mindless twitter conversations. Their conversations lack meat and definitely don’t breathe of emotion. You can probably give the writer a point or two for the plot setting though. Abby is an Oprah-approved writer who just can’t seem to get to completing her second book. Her agent introduces her to the world of 140 characters and that’s the start to her online romance. Mark is shown as an English Literature professor who is on a sabbatical and is travelling to all the love-struck places in the world like Paris and Verona. The book is full of witty remarks in the beginning and by the time, you, as a reader get to know Abby and Mark, the fun kind of withers away. What is noticeable though is the influence of the pop culture in their tweet messages to each other and they way they greet and say goodbye to each other. As we move on with their tweets, somehow the entire mood of the novel changes drastically. Its all sad and depressing. Mark confesses to Abby about something that changes it all. Well, as a reader, you probably saw it coming! Without giving away the details of what was Mark’s story, one can surely say that it did add some pace to the book. You probably would not have guessed what would happen next but like all other love stories of the twitter generation, it did have a happy ending. They do end up living happily-ever-after. All said and done, Goodnight Tweetheart fails to deliver the romance – the one that you so expect when you lay your hands on this book.